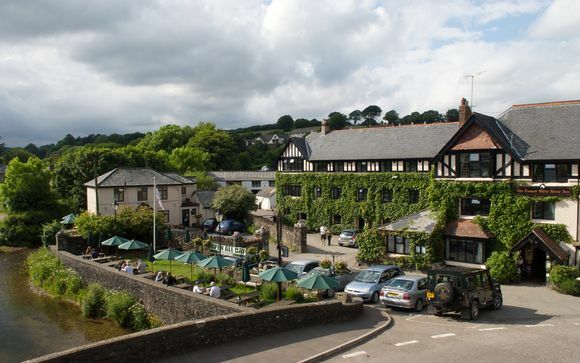 A family-run, 16th-century inn on the River Exe in Exmoor National Park, with breakfast, cream tea and so much more. 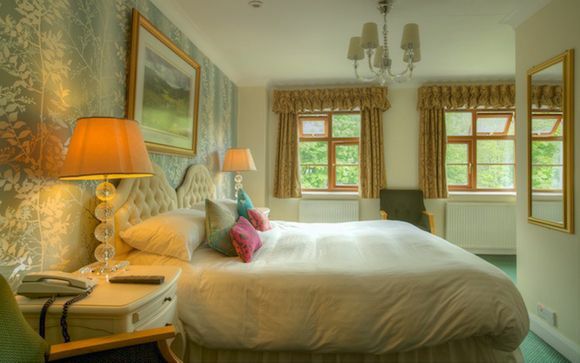 Perched beside the pretty River Exe and surrounded by the scenic Exmoor National Park, the 16th-century Exmoor White Horse Inn is a picturesque base for a relaxed West Country break. From the magical coast, to the river valleys and the wide expanse of the open moorland, with few people around what better time to explore the landscape and its wildlife! 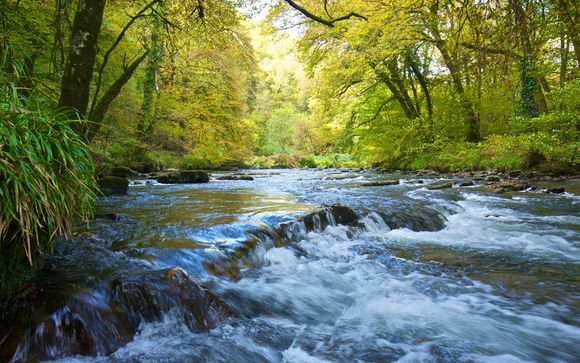 Exmoor National Park in Somerset is the perfect place to unwind. To the north lies its wonderful coastline, and throughout lies the River Exe and spectacular surrounding woodland and this 16th century built inn is situated right at the centre of it all. Admiring the scenery however is not all Exmoor has to offer. There are many things to do out of doors, which include walking and horse riding. We have our own personal guide, who can show you the best treks and sights to see on the moor. As well as this, the hotel runs an exclusive Exmoor safari, where you can observe all of the wonderful wildlife. If you are not up for something so physical, renowned photographer Peter Hendrie also offers excursions allowing you to capture a little piece of Exmoor for yourself. Away from the woodland, you can visit surrounding villages, as well as Exford, where our hotel is based. Also situated close by, to the east in Minehead, is the famous West Somerset Steam Railway. Kick off your boots and unwind beside one of the hotel's crackling log fires. Choose from over 150 Malt Whiskies and a fine selection of local real ales while you savour delicious locally sourced produce. To complete this traditional day retreat to your charming & characterful room. It's no more than you would expect from an idyllic Inn, which offers its guests a warm and welcoming atmosphere in a true Westcountry style - a favourite all year round. Amenities in all our rooms include complimentary WiFi, tea/coffee making facilities, LCD TVs, iPhone/iPod radio alarm clock and Toiletries. All of our rooms are individually styled and decorated with no two rooms the same. 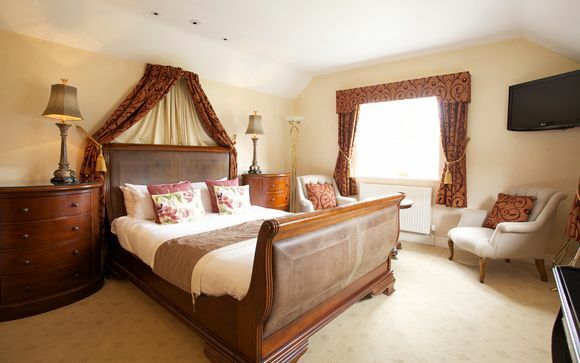 Your classic room is housed within the main building of this 16th century coaching inn. Each room features elegant finishes such as a mountain of plush pillows piled atop your large bed. These spacious rooms exude a contemporary and elegant feel, many of them feature river views that will charm every time you look out the window. Just for you: A complimentary Exmoor Cream Tea upon arrival. Throughout the day the hotel's restaurant serves delicious food, from breakfast to freshly caught seafood to locally sourced game meats, all of high quality. 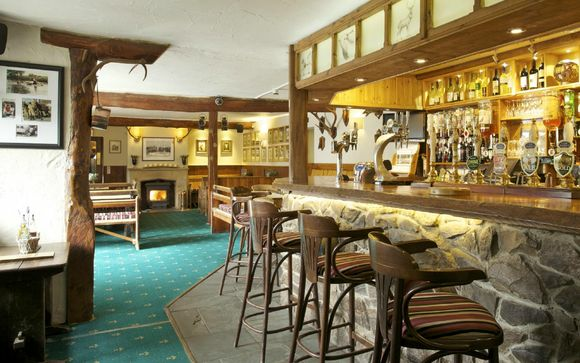 Food is also served in the bar, with favourites such as homemade soups and Somerset ploughman’s lunches on the menu. The bar itself is renowned for having the largest malt collection in the South West, with over 150 different whiskies on offer. Whisky tasting weekends are available for those who want more than just the odd dram.